This page is designed to be a reference for gross external anatomy of the humerus, radius & ulna, femur, tibia & fibula, ribs and vertebrae. Definitions of some terms encountered in the Figures are given in the Bone features section, and an overview of the human skeleton can be found here. Figure 2: The radius (left) and ulna (right). These two bones are commonly fractured in children and join to the humerus via the elbow proximally (top of picture) and to the carpal bones distally (bottom of picture). Adapted from a photo courtesy of Rob Swatski at https://www.flickr.com/photos/rswatski/4769901508/. 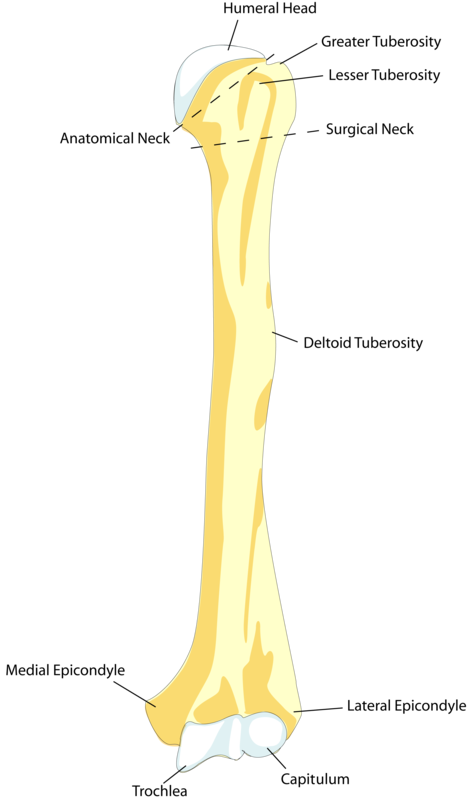 Figure 3: The Femur. Its head articulates with the acetabulum of each coxa. The lateral and medial condyles articulate with those of the tibia. Adapted from a diagram courtesy of Frank Gaillard via Creative Commons Attribution Sharealike. (https://en.wikipedia.org/wiki/File:Fumur_Anterior_annoted.png) - please click here to see a larger version of the image. Figure 5: A typical rib. 1 = head, 2 = neck, 3 = tubercle, 4 = angle, 5 = shaft. The head articulates with the thoracic vertebral bodies. The neck lies in front of the transverse processes. The tubercle points in a posterior direction in vivo and articulates with the articular facet on the transverse process of its vertebra (see Figure 6). Courtesy of April J. Gazmen at https://www.flickr.com/photos/guccibear2005/166906209/.